In the recently released feature film Must Love Dogs, Sarah, a forty-something schoolteacher played by Diane Lane, gets talked into seeking her soul mate on an Internet dating service. One of the catches, as the title suggests, is that said soul mate has to be a fan of the canine set. Not far fetched really. I mean how many times does a pet owner’s affection for the four-legged get in the way of potential romance? But more often, dogs have the capacity to bring people together – without even trying. Noticing that rather unique ability, Silicon Valley techie Robert Yau decided there was something he could do with it. While Yau was recognizing the connective clout of canines, Internet dating was reaching a new level of respectability in American culture. No longer the realm of the creepy and the deviant, I-dating was being transformed by sites like eHarmony.com and Match.com. But many of the services seemed to promise the same things with little to differentiate them. Yau reasoned that a Web site that used people’s love for their pets to join them could tap an entirely new market. 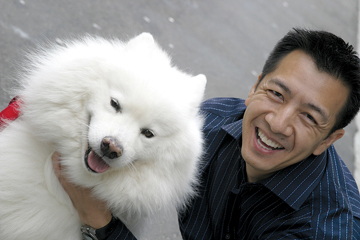 DateMyPet.com went live as a legitimate company in September 2004 with Yau as founder and CEO. Over the last year, he says the site has averaged between 50,000 and 100,000 visitors each month. 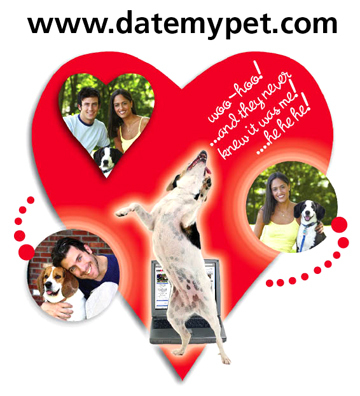 Today, DateMyPet.com has members in all 50 states and beyond, with the majority coming from the east and west coasts. The Web site is subscription based. Users must create a profile to use the services. A basic profile, allowing users to post their information and respond to emails sent to them, is free. A premium subscription allows the user to initiate contact with other members via email. Premium membership is $10 a month. Those not seeking romance on DateMyPet can set their animals up on play dates at dog parks or wherever, allowing them to mix and mingle with other couples who love their pets. “It’s been a successful part of the business,” Yau says.